Alston, NCD, Feb 15 – Documents have been discovered today outlining the plan for an SBC television show which bears a striking resemblance to Micro High, but with a difference – the idea predates Sirocco itself. Whilst going through the Siroccan Broadcasting Corporation’s archives, plans were uncovered a short time ago for an idea for a television show entitled “Micronations“, starring several micronations in the MicroWiki community in late October 2010. Dated October 26 and 28, 2010, the plans feature Sirocco, St.Charlie, A1, Zealandia, Austenasia, the Slinky Empyre and Atlantis as adult residents of a neighbourhood, as opposed to Micro High‘s depiction of the micronations as teenagers at an inner-city high school. While Micro High (which was created in April 2011) tells the story of the teenage micronations from a general perspective, Micronations would have been filmed through the eyes of Sirocco, who was to be new to the neighbourhood and starting to settle in. St.Charlie was to be depicted as “the ‘big brother’ of all the micronations” who would yell “woof woof” when he saw something he approved of; A1 to be “the peacekeeper of the neighbourhood” who divided things between being “glorious” and “not glorious”; Zealandia as a “quiet nation that keeps to itself”; Slinky as Sirocco’s best friend, Austenasia as the posh upper-class British character and Atlantis as the annoying one. 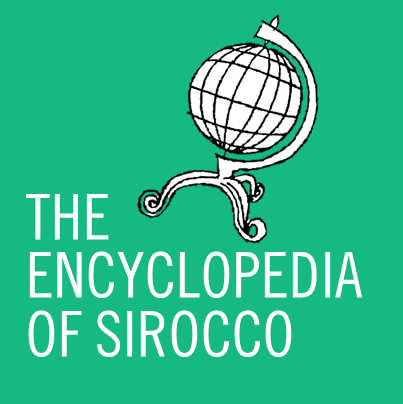 While there are remarkable similarities between Micronations and Micro High, it is worth noting that there are some differences, such as A1 and Austenasia switching sexes for Micro High, Sirocco being a new member of the community (however for October 2010 this is technically correct), Eleytheria replaces Atlantis as the annoying nation and, of course, the inclusion of the Slinky Empyre. The SBC has stated that it is “very unlikely” that there is any link between Micronations and Micro High, however it did acknowledge that the idea for a show revolving around the comedic exploits of micronations in the MicroWiki community seemed to be older than previously thought. It is possible that some of the elements of Micronations might be adopted for further episodes of Micro High.